Details: 4 BR, 4.5 BA with 3,380+ sq. ft.
Info: Turn-key gulf front condo at The Mediterranean at Perdido Key is within walking to distance to the Flora-Bama and the Flora-Bama Yacht Club. Gated entrance and elevator opens directly to your private foyer. Condo includes indoor and outdoor pool, owner’s lounge, and a spacious workout facility. Details: 4 BR, 4.5 BA with 2,940+ sq. ft.
Info: This luxury 4 Bedroom, 4.5 bath condo at La Riva in Perdido Key takes full advantage of the incredible views from the east side of La Riva’s East Tower. La Riva has only 66 total units on 520 feet of pristine gulf front beach. Each tower has its own indoor and outdoor pool, game room, indoor storage rooms on ground floor. Details: 3 BR, 3.5 BA with 2,030+ sq. 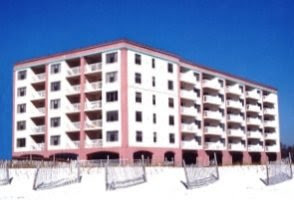 ft.
Info: La Playa is one of Perdido Key’s finest condominiums. With stunning architecture, only three units per floor and two private elevators serving each wing, La Playa offers peaceful privacy along with the most incredible views of the emerald waters of the Gulf of Mexico. This unit has 10 ft. ceilings and floor to ceiling glass doors and windows enhancing the view.